Locking a file in video surveillance footage is a useful tool. Locked files allow you to retain and review specific pieces of time without having to locate them over and over again. The purpose of this article is to give helpful information to anyone in need of quick technical support. You can also find the video tutorial at the bottom of the page for more assistance. Below you’ll find the steps or how to lock a file in your footage for later retrieval on Elite recorders. 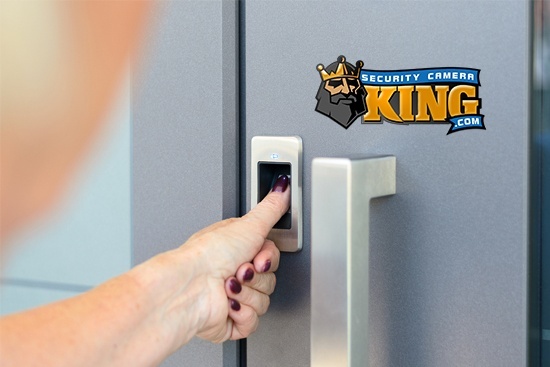 If you’re interested in purchasing an Elite Recorder or wish to learn more about any of our security cameras, video recorders, and other video surveillance products, continue to navigate through Security Camera King. Begin by logging in with your user settings. In this example, I will be using the new interface, as opposed to the older interface. After logging in, locate the Video category in the interface. Click Video. In this example, I have only one camera, though I’ve selected more. Click the play button, located at the bottom right. Now select the agency that has the file you wish to save. This should enlarge it to where it is now the only option on the screen. Stop the footage and select the list icon on the bottom right. Now locate the file of interest. This will create a lock icon on the bottom of the page. Now, click on the lock icon. This will create a message that says File Lock: Succeed (#), Failed (#). That is how to lock a specified file on Elite recorders while using the new interface. The recorder will retain that until you unlock the file. Once you are logged into the old interface, stop the video recording. Locate the file icon in the bottom right side of the interface, which is the the icon that is the furthest to the right. One the Start Time Type menu appears, locate the file of interest. Now select the box located directly next to the timestamp for the file of interest. Once the file has been selected, locate the save icon on the bottom right of the screen. Click the save icon to save the specified file. Note: If you only have a single file here, it will not allow you to lock a file because it is still being written. In this case an error message will appear. However, if you wait for another hour to pass, then you are able to. If you only have a single file, proceed to do the following steps. Once you are in the Main Menu after an hour has passed, locate and click on the Search category. Select the icon next to the camera of interest. You should be able to confirm that it has footage. Stop the footage and then select the list icon located in the bottom right. You should now have two separate files. Select the file of interest that you are wanting to save. Once it has been selected, click the save icon located on the bottom right of the page. In the old interface, you will still get an error message that says the file cannot lock. However, there is still another route you are able to take. Select the icon next to the Save icon. This will give you access to the locked files. Once the window appears, you will be able to unlock any old files in order to lock new ones. Unlocking the files will remove it from the File Lock. If you are having any troubles with the steps listed above, please watch the following video tutorial for more assistance. 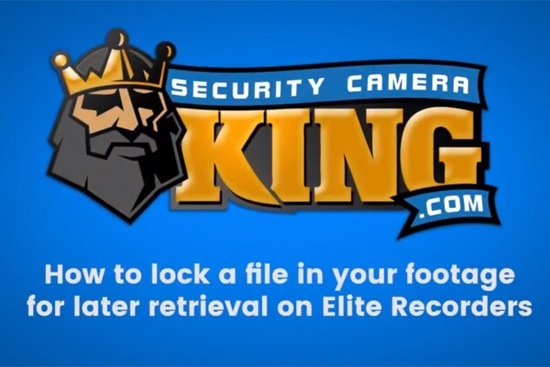 We hope this helps to answer any questions that people might have regarding how to lock a file in footage for later retrieval on Elite Recorders. Thank you for reviewing these steps and/or watching the accompanying video tutorial. 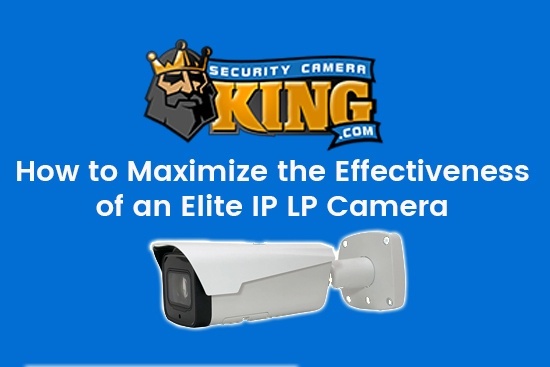 If you would like to purchase an Elite series recorder or are looking for security cameras online, we encourage you to investigate our website in more detail. 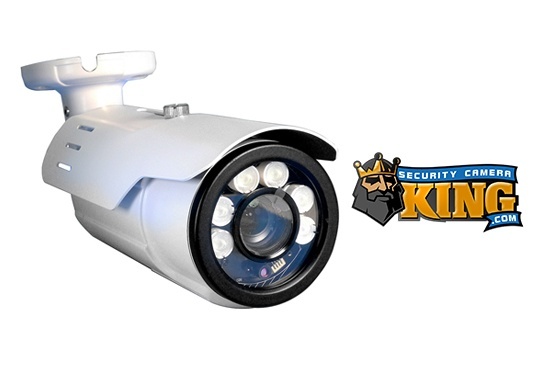 We have a wide range of video surveillance products that can serve you well in most situations. For more help, contact us at your convenience.